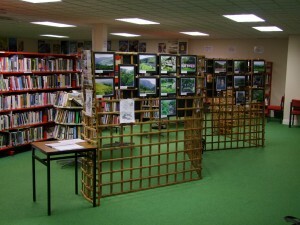 Landscapes and how they evoke memories were explored in a photographic exhibition that I held in gallery two in the inspiring Cork Vision Centre on North Main Street from the 16 November to the 7 December 2007. It was based on the book that was published during the year drawing on the Our City, Our Town series – In the Footsteps of St. Finbarre, Voices and Memories of the Lee Valley. Following the River Lee valley from source to mouth takes one on a journey of 45 miles from Gougane Barra in West Cork to the Lee Fields in Cork City. In that carved out journey, one encounters the spiritual world, the sense of mystery and that peace and quiet that many people search for. There is calmness and opportunities for thinking straight in places such as the heart of The Gearagh, near Macroom. There are the breathtaking but contrasting scenes linking to influences and wider connections to the wider world. The collision of the old and the new can be witnessed across the valley. Sometimes the contrasts are worrying but at other times, without them, the sense of living communities would be redundant. 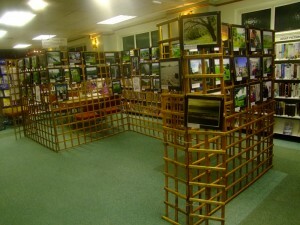 My photographic exhibition was entitled Photographing the Lee- Landscapes and Memories. It focused on a number of aspects of cultural heritage in particular the beauty and structure of ‘things’, which highlight our cultural heritage not only from the past but also what we have inherited in the present. There are pictures that show the power and majesty of the natural world like the overbearing Shehy Mountains in Gougane Barra. The Shehy Mountains can be viewed for 75 percent of the Lee’s journey and at times I have felt they are calling me back to conduct a fuller study or to revisit strangers I came across at the start of the research last year. I have delighted in the flow of the Lee, encountering its physical geography in a completely different canvass to that of the north and south channel in Cork City. Photography has the ability to stop the viewer, to impress and make the viewer question, wonder, dream, remember, disturb, explore and not forget – promoting a reaction. 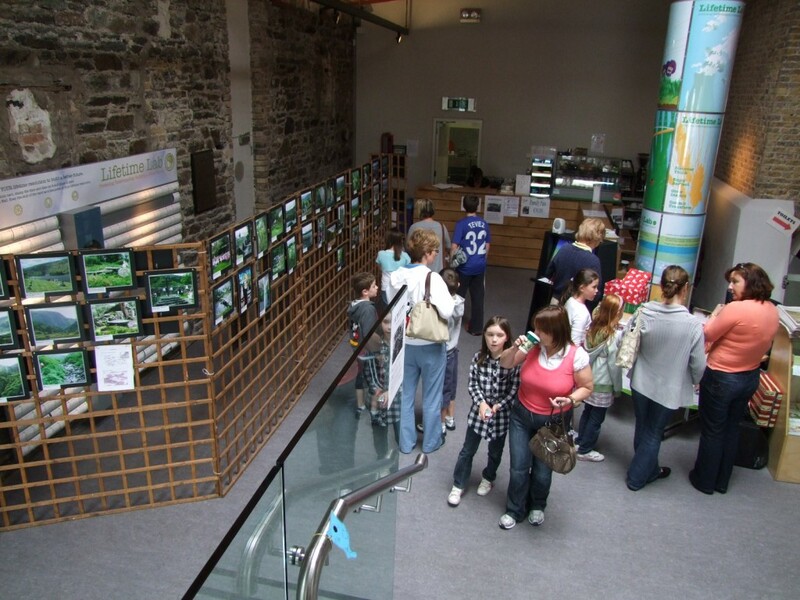 With all that in mind, the photographic exhibition attempted to capture the many moods and colours of the River Lee Valley, the characters who have interacted with it, the major events and the minor common happenings to construct a rich and vivid mosaic of life by and on the water. It’s Monday afternoon, 4.30p.m. at Cork Bus Station. I’m waiting for a bus to take me to Waterford. The first bus is full, so I wait for the second. The place is very busy with the coming and going of people and buses to all parts of the country. The faces change with each passing minute. Each person brings something new to the place, a place of rapid changing memory. People talk aloud to the ticket sales desk and to those standing in queues – each person bringing their own experience and knowledge of the world of how to negotiate it – the school-going student to the elderly pensioner to the foreigner, each looking to travel, all anxious, nervous with anticipation, polite with decorum awaiting a journey. A fast vibrant energy picks up with each bus arriving and leaving inscribing fleeting memories at the station itself. Both the location and people connected to each other. This is another normal day, full of life’s opportunities for the bus station. The last couple of months, I have been thinking a lot more about all the people I have met in my own travels what they have said about their own journeys in life and their association with the River Lee. In addition, last December in the Cork Vision Centre on North Main Street, I held a photo exhibition celebrating the places and people, the landscapes and memories along the River Lee Valley. I felt that this heritage project was successful in its aims of celebrating the Lee’s vast heritage, from the natural to the archaeological to the cultural. I got to share the wider context of the Lee’s landscapes and memories with viewers who gave their own impressions on pictures and sharing their memories on what the pictures brought to the viewer’s mind. The exhibition provided me with new memories, new themes, new contacts and new questions to ask of the Lee valley and its heritage and memories. So as part of my contribution to European Heritage Days in September, I am relocating my exhibition to Gougane Barra for the next couple of weeks to be based in the sitting room of Gougane Barra Hotel. Of course, with this move, there are new questions to be asked. In a philosophical sense, what if you brought back the landscapes and memories studied along the valley to the start, the source of the river? Does it change the nature of Gougane Barra and its values, beliefs and what could be describes as Gougane’s guidelines for inhabitants and dwellers – does it add to the sacred site of Gougane Barra? Do the images of settlement, industrialisation, fertile countryside, even the journey of the river enhance and changes the nature of Gougane Barra? Does it connect the valley’s cultural heritage together? My goal is not to change it but to explore Gougane’s identity and what could be described as the ‘codes’ of identity that have created it and ask questions about it, therefore probably creating new questions about its identity. The source and mouth of the river is linked by cultural change and continuity in particular human occupation, the product of cultural processes from standing stones, forest clearance, farmland creation to the Lee Hydro Electric scheme we have been discussing the last number of weeks. Even Gougane Barra has experienced change – its wilderness originally penetrated by monks, a legacy in later years woven into a national heritage site by the nature of religion, landscape, memory and myth. It may be generally agreed upon by Corkonians that Gougane is connected to the city, that it is some kind of outreach post for the city’s heritage (or maybe the city is the outreach post for Gougane’s framework of meaning and purpose?). It is a connection between the countryside and the city forged by something deep in Cork’s culture, connected with powerful feelings, emotions, memories and personal experiences. One has to marvel at not only the vast amount of time represented in the Lee Valley and also the personal experiences of every individual that chose to live and survive by its waters. I constantly marvel at the human experiences I encounter but also now am beginning to reflect on the collective experiences of individuals living in and associated in its creation physically and visually. The photographs I present are a cross section of photographs published in Our City, Our Town over the last 24 months. Yes, there are the scenic shots of sites such as Lough Allua, The Gearagh, Carrigadrohid and Inniscarra Reservoirs and the Lee fields but there are also shots of artefacts and people or caretakers of the heritage I encountered in my explorations. There are also the photographs of – what could be described as human debris and physical imprints – broken walls and creeping ivy. The photographs represent my journey to understand modern identity within the Lee Valley through immersing myself in the big and small aspects of the valley. Much of the sites pictures were stumbled across as if in a sense many of the sites were waiting to be photographed but forgotten about. I would see something of interest and ‘snap’ it. By snapping it, I wanted to record my view, frame it and capture it – to frame and display some kind of visual knowledge. Of course, as a Cork City inhabitant, I bring my own ‘town mouse’ interpretation to the valley but try to remain partial as much as possible. Many of the scenic pictures may show what looks like wilderness but with so much change within the structure of the valley, the human wilderness is represented and explored. One could see the human intervention as destruction but I see the vast majority of it as survival. Bringing the exhibition to Gougane Barra, I see the photographs as explorations of the cultural threads connecting the River Lee valley together. It is my way of paying homage to the Gougane’s rich cultural heritage and maybe the viewer will see something else and forge new questions. It is a move towards celebrating even more the Lee Valley, a River of Memory.